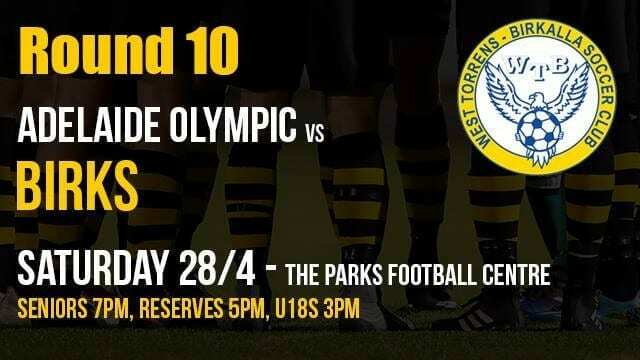 This weekend WT Birkalla will venture to The Parks Football Centre to take on Adelaide Olympic full of confidence after their great win against Sturt Lions. We would like to see the entire Birks family come out and support the boys in a must win game. Our under 18’s will kick off at 3 pm followed by our Reserves at 5 pm and then the main game our seniors at 7 pm. Join us for what is sure to be a great afternoon/evening of action!